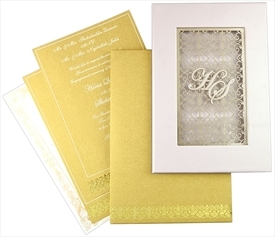 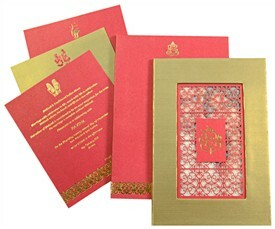 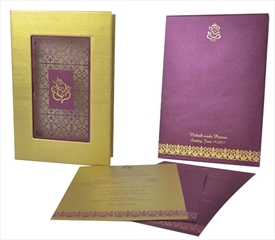 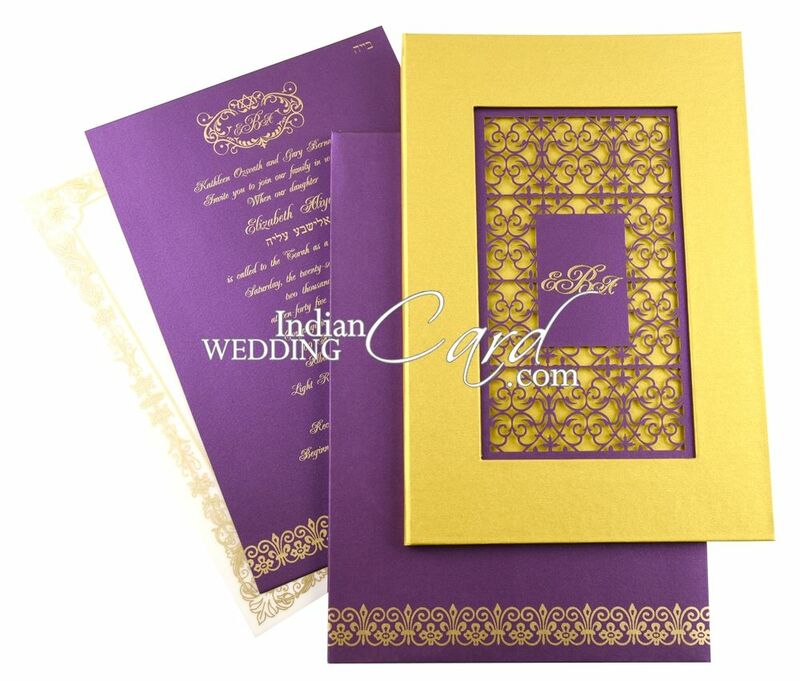 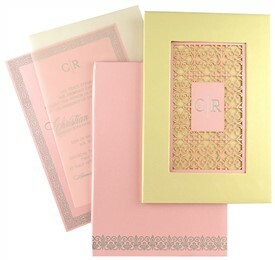 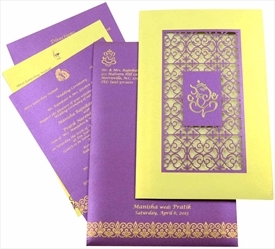 D-6804, Yellow Color, Shimmery Finish Paper, Laser Cut Cards, Designer Multifaith Invitations, Exclusive Invitations. 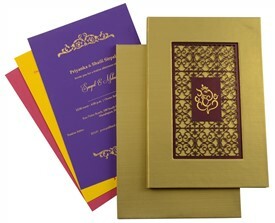 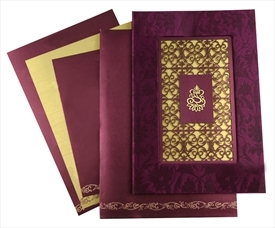 Yellow gold shimmer paper for hardbound thick card, inside lining, pocket and one insert. 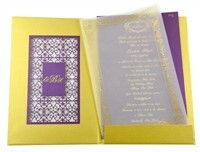 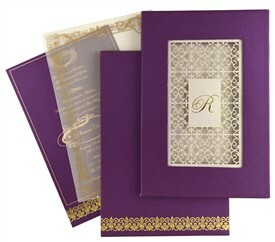 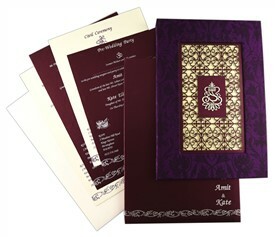 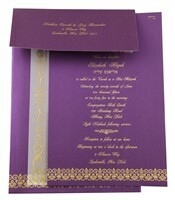 Purple color shimmer paper for intricate laser cut work panel, one insert and mailing envelope. 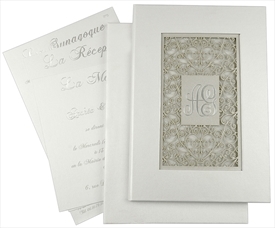 Tracing paper loose overlay on inserts. 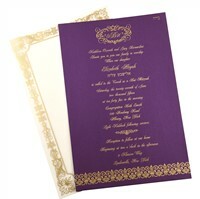 Silk Screen in matching to Purple and gold color.